The Houses of Parliament, otherwise known as The Palace of Westminster, stands on the site where Edward the Confessor had the original palace built in the first half of the 11th century. In 1547 the royal residence was moved to Whitehall Palace, but the Lords continued to meet at Westminster, while the commons met in St. Stephen's Chapel. 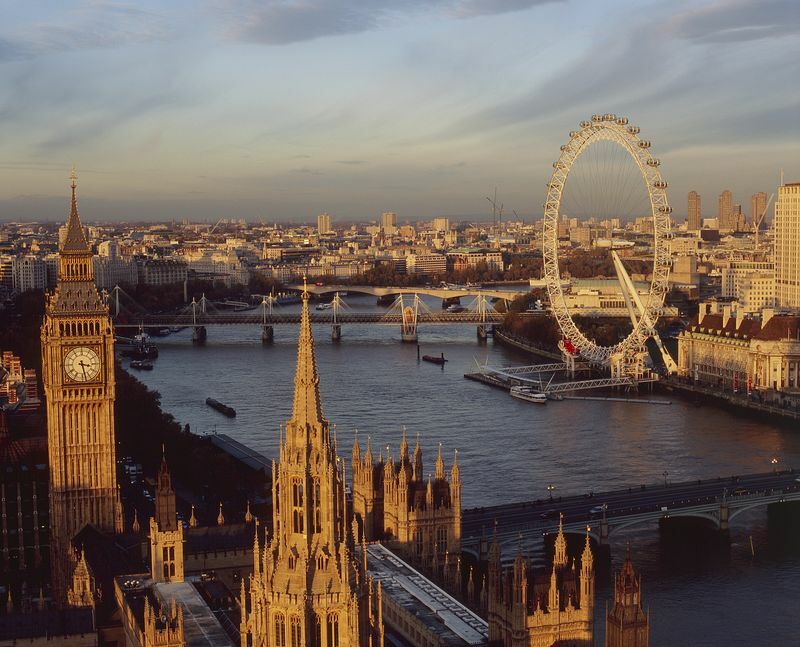 Ever since these early times, the Palace of Westminster has been home to the English Parliament. brought right into the hall and personally supervising the fire fighting operation. The magnificent Gothic Revival masterpiece you see today was built between 1840 and 1888, this was the work of Charles Barry who designed the buildings to blend with nearby Westminster Abbey. 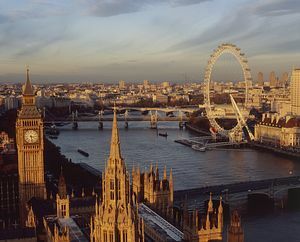 The two imposing towers, well known landmarks in London, are the clock tower, actually called St. Stephen's Tower, but more commonly known as Big Ben - (the name of the after it's thirteen ton bell within), and Victoria tower, on whose flag pole the Union Jack flies when parliament is sitting. Much of the Victorian detail of the interior was the work of Barry's assistant Augustus Pugin. you are ushered into the well known octagonal Central Lobby, whose tiled walls are inscribed with Latin mottos. This is the central meeting place where constituents can meet or "lobby" their Members of Parliament. It is from here that you will be shown your direction either to the House of Lords or Commons. An incendiary bomb destroyed the House of Commons in 1941. A reconstruction of Barry's original design for the house, taken from St. Stephen's chapel, the commons old meeting place, was completed in 1950. The seating arrangement in the house is reminiscent of choir stalls, the members of the cabinet sit on the front benches while opposition senior members sit directly opposite. The distance between the benches marked out on the floor in red lines, is exactly two sword lengths and one foot apart. Members are not allowed to cross these lines, thus ensuring that debates are kept orderly. In the centre of the floor stands the Table of the House, on which the mace is placed at the start of each parliamentary sitting; this is the Speaker's sceptre. The speaker of the house presides over sittings, keeping order. The House of Lords decorated in scarlet and gold has all the grandeur one would expect in this chamber. This is where Her Majesty the Queen comes to open Parliament each November. Placed beneath a regal canopy, the gold throne which dominates the house is where the Queen sits to deliver the traditional opening speech. The Lord Chancellor sits opposite, on the famous Woolsack, this is a large scarlet cushion filled with wool, a tradition dating back to the middle ages when wool was England's largest export. 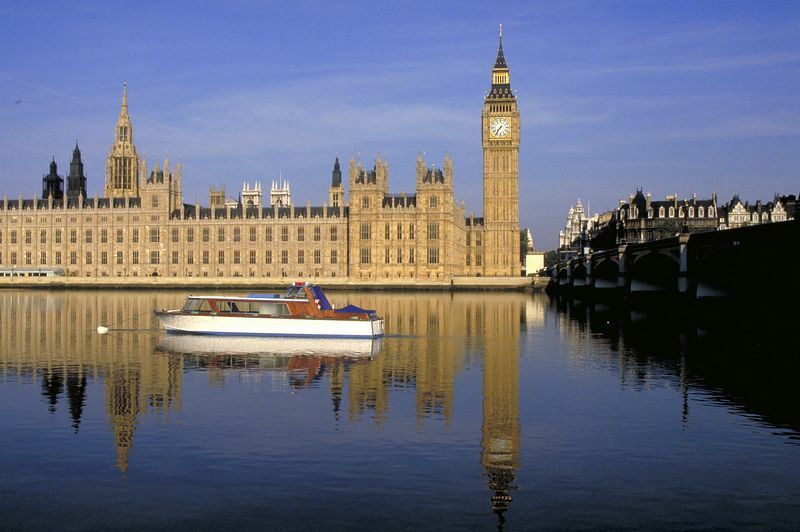 On Saturdays and during the Summer Opening, UK residents and overseas visitors can buy tickets to tour Parliament. Entry is through St. Stephen's Entrance, where you can join a queue for the public galleries, known as Strangers Galleries. The busiest and most interesting time to visit the House is during Prime Minister's Question Time. If you wish to attend Prime Minister's Question Time you must book a ticket through your MP or your embassy. Prime Minister's Question Time is on Wed. from 12pm - 12-30pm. Both houses recess at Christmas, Easter and from August to mid October. Admission to both houses is free. 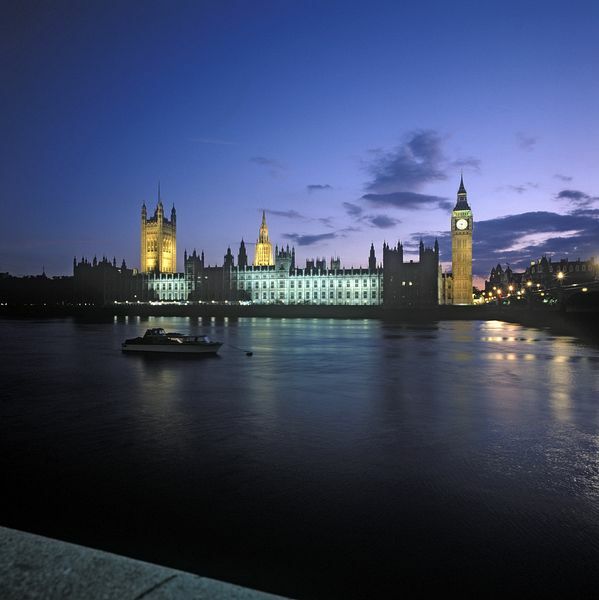 Although admission to the Houses of Parliament Strangers Gallery to observe debate is free, there may be in some cases a guiding cost in relation to tours for constituents and other interested parties, arranged through Members of Parliament.